What to expect when one of the most eminent movie directors decide to become opera stage director? What to expect when the opera he has decided to stage is his life-long earworm? Probably, highly rewarding performance with long-lasting aftertaste, – and even more – as when 3 times Oscar nominated, winner of 84 cinematographic awards and 60 times nominee Wim Wenders joins forces with outstanding Daniel Barenboim, the result is extraordinary event – last night performance of “Die Perlenfischer” – “Les Pêcheurs de Perles”. 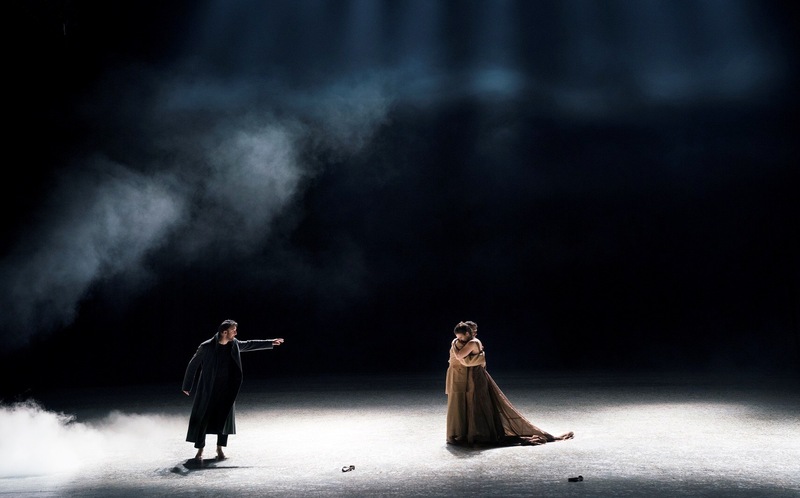 The performance was completely sold out, there were several people outside trying their luck for a spare ticket, the crowd of Staatsoper guests was visibly dressed up, and consumption of champagne at the upstairs cafe provided another proof of premiere night. The director himself attended premiere sitting in the audience, and this sent some whispering excitement through the audience just a minute before the curtain rose. 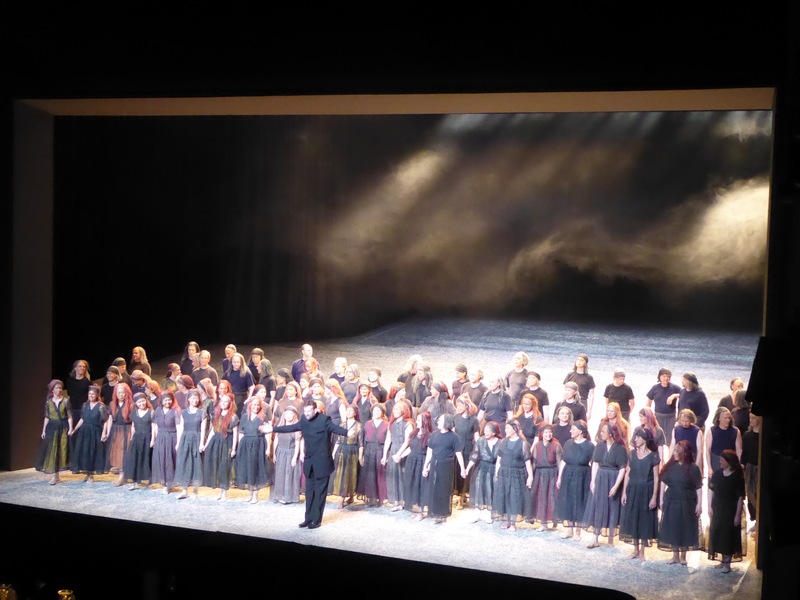 All members of the audience were in anticipation of great performance, the pre-premiere publicity provided with insight into heavy video projection supported stage work, and the musical qualities under confident guidance from the Maestro did not leave any room for a doubt. Even some randomly met people in Berlin – at a cafe and a department store, knew about the performance of the night and were expressing their regret for not being able to witness it. So, how to succeed when expectations are raised so high? The power duo of Wim Wenders and Daniel Barenboim completed this difficult task with flying colours: the audience cheered in unison and gave a long and standing ovation to the cast – creating one of the best recently seen and heard productions. Bravi! Wim Wenders has treated libretto text with precision, – and as the action happens on some distant, probably equatorial island (guess – Sri Lanka), the darkness and night dominate the mood, thus lights are the main colours to use in combination with smart video projections. At one point it felt that there is too much of the video-clip aesthetics used, but the overall concept and effect fully justified the approach. 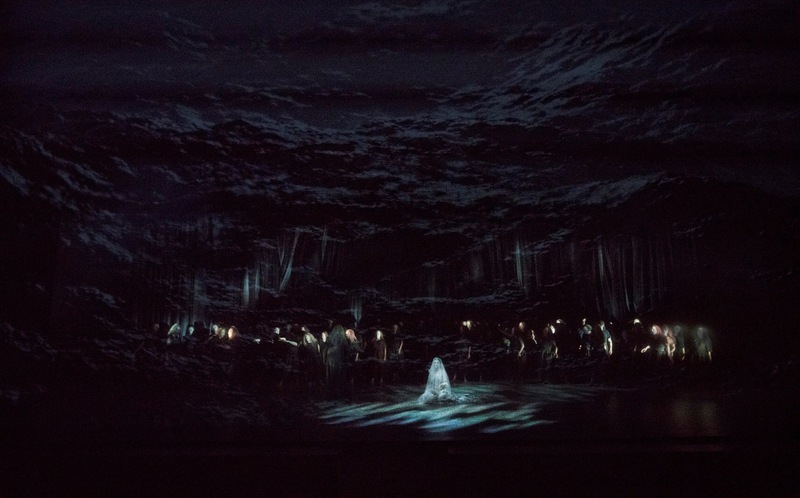 The staging uses quite a lot of water projection, showing it as dark, rolling waves, sometimes becoming threatening when direction changes towards the audience – you know the wind has changed, and anticipation of the plot turn grows. Sometimes water is depicted as the all-encompassing environmental force in the video projection at the back of the scene, thus in addition to the illustration of island life, we have a hint that emotions are as forceful as an ocean and can bring the same destruction if not controlled properly. Another effective stage prop use was a combination of smoke clouds and lights- painting both moods as well as supporting the storyline. What seemed a bit strange was the projection of titles (credentials in the beginning) and act and scene numbers during the performance. This also corresponded with some awkward silent pauses between scenes, which gave an impression that probably active audience response to the closing curtain was expected which did not happen. At the end of the production staging part, it is worth to mention costumes. What I read from the dress on stage was an inconsistent story, even when knowing well that Nadir has just returned from world travelling, his costume seems ridiculous for return into fishers community at obviously warm climate. The same regards Zurga – he is all the time wearing an obviously woollen coat, which could be explained only as a status thing, being a leader to the barely dressed crowd of his compatriots, and to be noted – all of them are all the time barefoot on the beach. The crowd itself just raises one question regards their ridiculous wigs, especially on children – but let it be just a part of expected cinematic experience. As an interesting accent, I would like to mention the concept of gift used well by Wenders and the team. According to the libretto, Leila as a child has saved life of some stranger, and received a beautiful pearl necklace as a gift. This necklace at the end saves her life and her love. The gift from the community to save them from the forces of nature through prayer and songs would be a pearl of incomparable beauty. Instead, she chooses love and rejects potential reward confirming that love is a priceless gift of destiny. Video provides hints and drives storyline through images of young Leila and pearl necklace. The cast for the production is just perfect – using experienced performers, for all three main protagonists offering the unique opportunity of the role debut at the same time – at least according to Operabase. 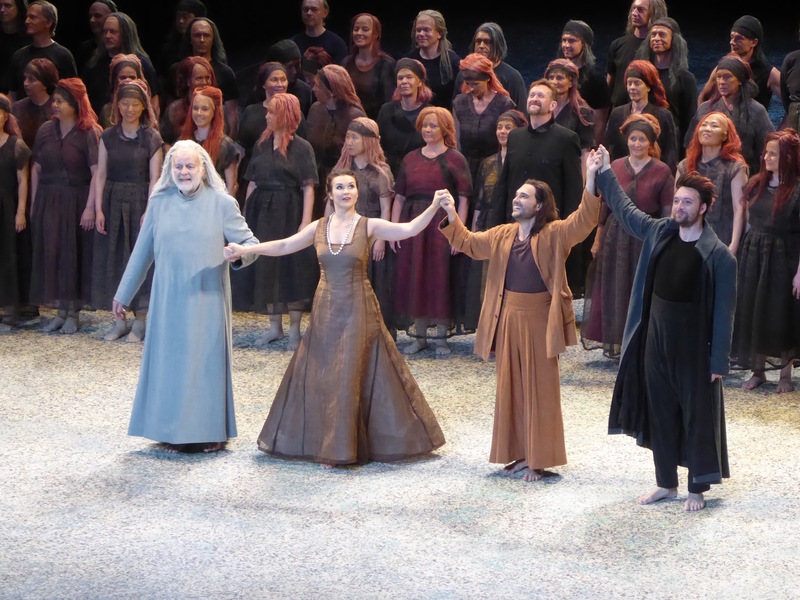 They all three did great – especially I would like to praise performances of Olga Peretyatko – Mariotti and Gyula Orendt, a relatively new name for me, worth to watch. Olga has extraordinary clear and bright soprano, with unforced, but so well supported top notes, and just a hint of metal in the tone. 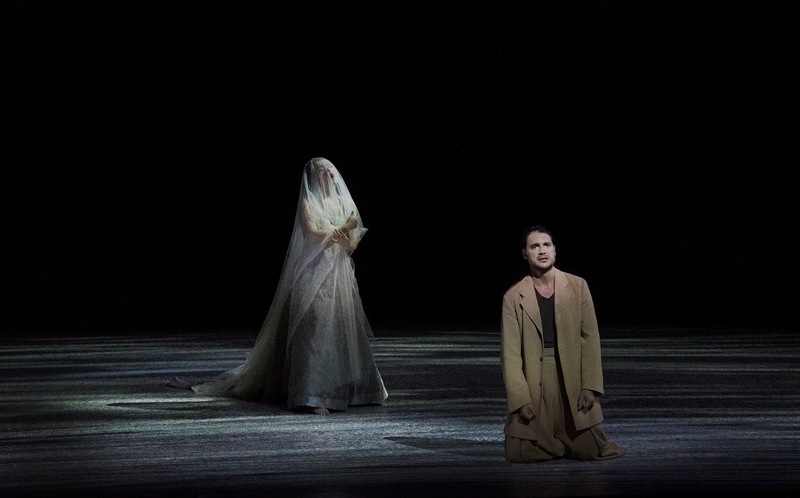 I have recently seen her as Gilda at The Met, but this role really fits her as a glove – and her portrayal fully represents all the emotional turmoil this young girl has to go through, fighting for her love under the unresolvable pressure of her calling as a priestess and devotion to faith. 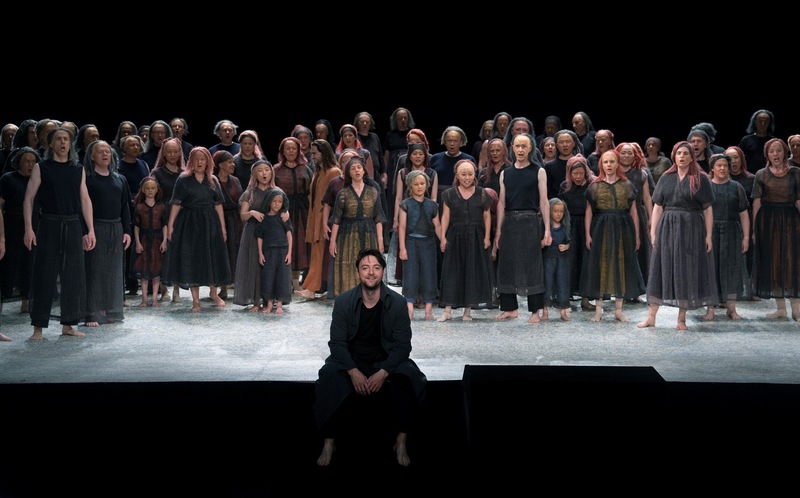 Francesco Demuro as Nadir created a sound portrayal of his character both vocally and dramatically. He has a pleasant and well fitting voice, while at some moments it felt he was reaching its limits especially on high notes, it seems there is not enough projection volume, – but it might be also emotional strain of the premiere night. 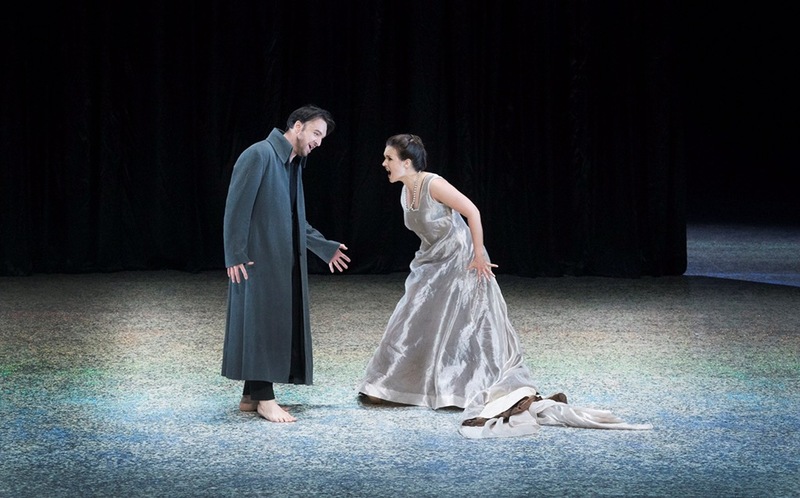 I have seen Demuro before as Alfredo in La Traviata at the ROH and Arena Verona, and as he has sung that role for some time, there were no noticable vocal issues. I believe that he we will deliver impeccable performances on the nights to follow. 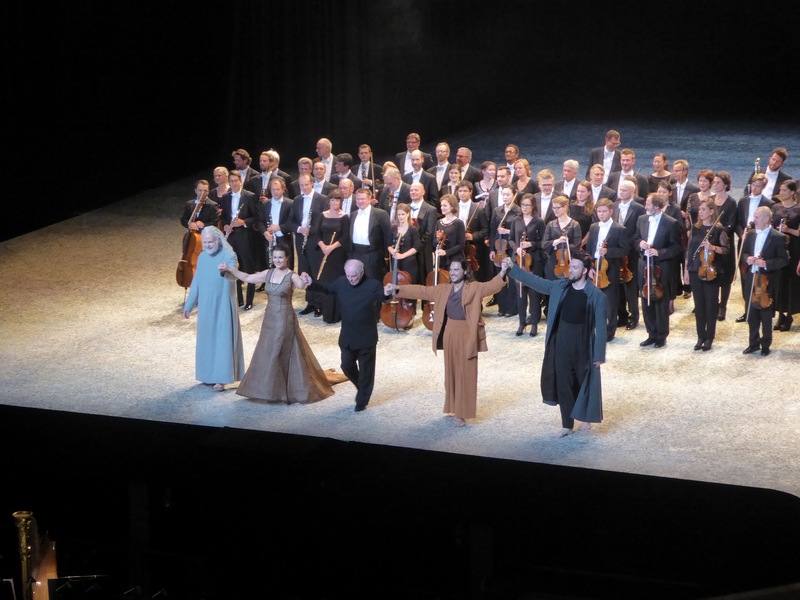 Gyula Orendt as Zurga was my surprise of the night – there is one brilliant baritone to watch! I have seen him before as Harlequine in Ariadne auf Naxos a season ago, and have not noticed him then. He has great stage presence, good and natural acting instint, his scenes are quite authentic and shows that he has well though through character build up. Vocally Gyula Orendt has very impressive instrument still in development, the range is extensive, and the tone is distinctive, so we will certainly see him soon again! 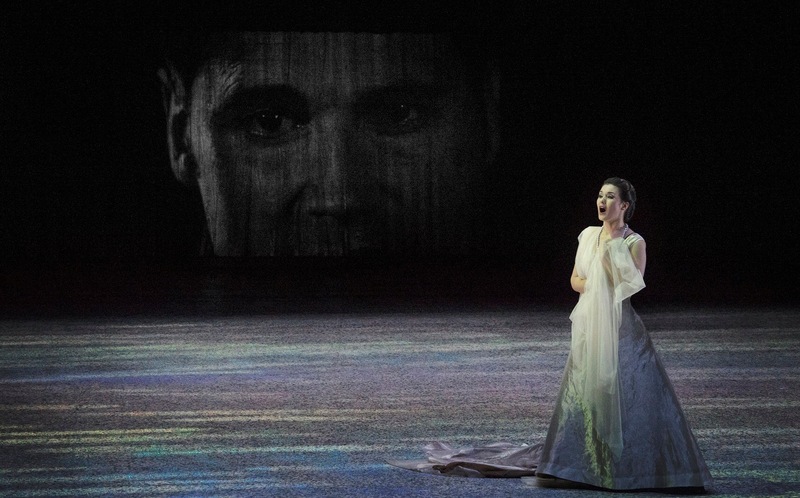 The chorus is one of the protagonists and driving forces of the libretto, and even if they had some uneven moments in the beginning of the night, they quickly got better, delivered upon high expectations in Act 3, especially in the angry crowd scene. 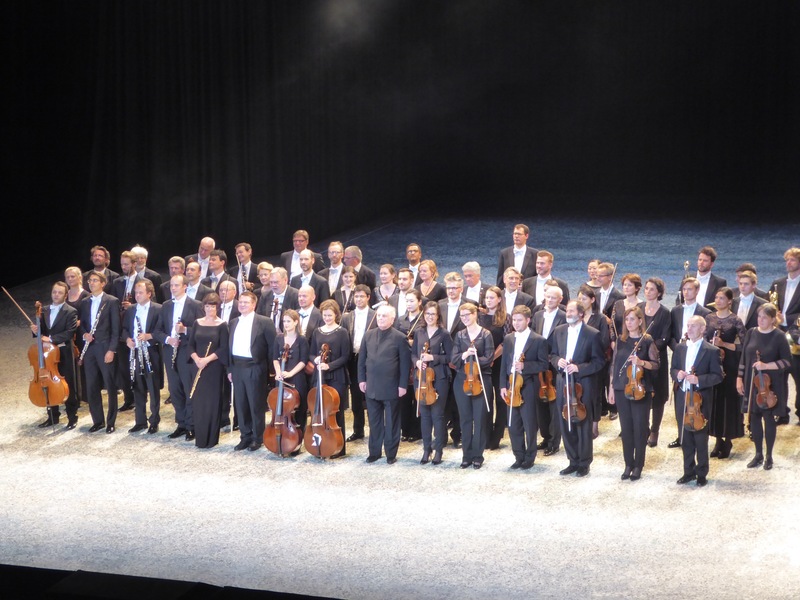 Daniel Barenboim led orchestra confidently, achieving great balance between pit and stage. The musical reading was energetic, with good tempi, and providing impeccable support for the soloists – thus achieving that unique feeling of wholesome ensemble work. 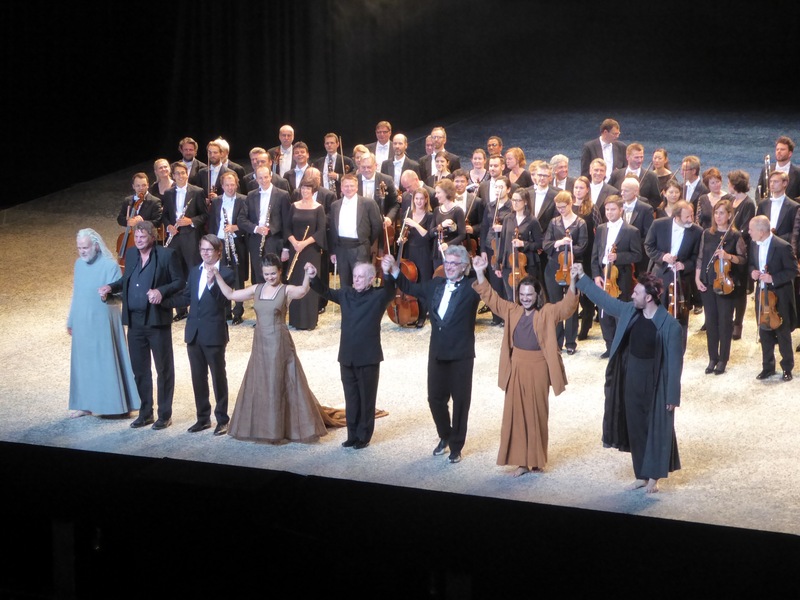 Thus, wrapping it up – I have seen great production despite some minor flaws, and sincerely recommend to take a chance until it runs in the beautiful Schiller theater – not sure how it will fit to the renovated house Unter den Linden – next season scheduled for April, with different Zurga and under another conductor.